Palm Beach Gardens, located on Florida’s Atlantic Coast, is considered by many as “The Golf Capital of the World”. It’s no wonder, with over 237 sunny days a year, an annual 58 inches of rainfall and a comfort index of 87 out of 100, Palm Beach Gardens is a golfer’s paradise. However, after a long day on the links, at the beach, or shopping in one of the many great establishments around the area, it’s always nice coming home to your own personal oasis. 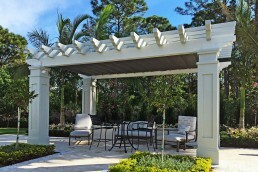 For this Palm Beach Gardens homeowner, that meant a backyard retreat with total weather protection over top their stunning traditionally styled pergola. 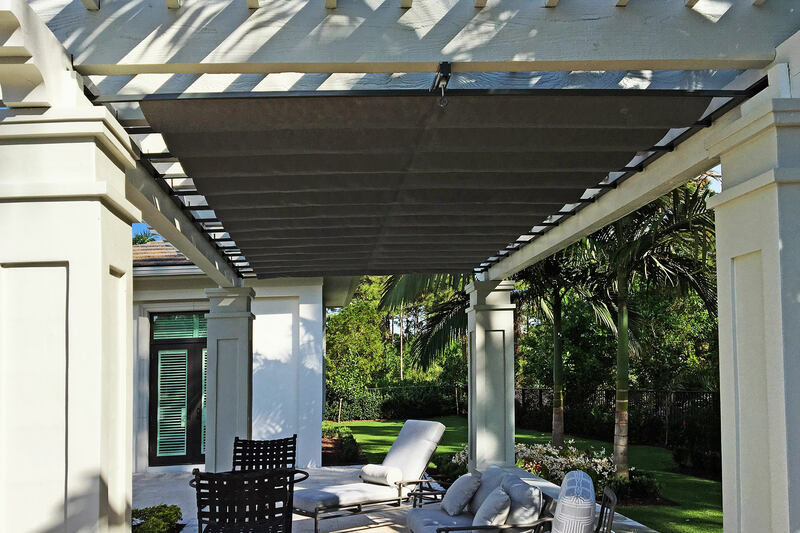 From order to install, we worked closely with the homeowner to design a ShadeFX solution that would compliment the gorgeous outdoor room while providing refuge from the Florida weather. 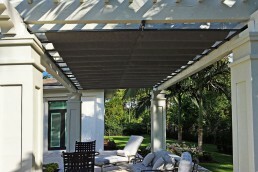 The manually operated retractable shade covers 200 sq.ft and has seven additional wings to reduce the canopy drop to less than 12 inches. 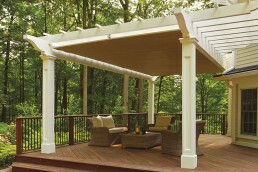 The retractable shade was powder coated ‘traffic gray’ to compliment the color of the existing pergola. 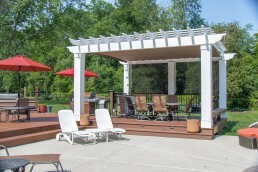 After a quick and easy install, this homeowner still had time to hit the links, enjoy an early dinner and sip on a refreshing cocktail. After just one easy day, this Palm Beach Gardens home now boasts an outdoor space rivalling the best seaside resorts. 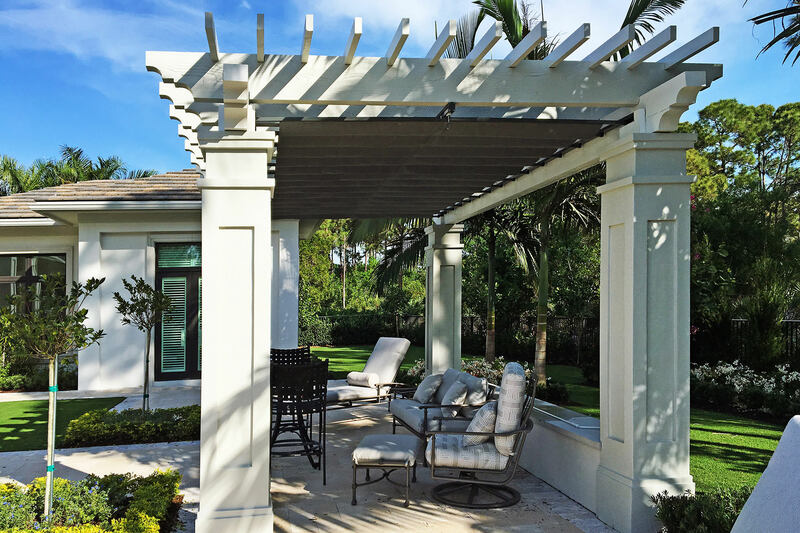 From order to install, we worked closely with the homeowner to design a ShadeFX solution that would compliment the gorgeous outdoor room while providing refuge from the Florida weather.